The Intermediate 1 book has different content structure compared to the beginning series since it is still in first edition format (no 2nd edition out yet). Even so, it is still KLEAR series and I'd really love to have another type of books. Recently I keep browsing on Seoul Selection online bookstore (thanks, Angeli for telling me about the site! :). I'm interested in buying Yonsei textbook (and trying out their reading series) but unlike Book Depository, Seoul Selection does not offer free shipping and the shipping cost alone can buy me one textbook! Ouch! The concert would be on my birthday and the venue is so beautiful that it is part of reasons why I decided to go to the concert. 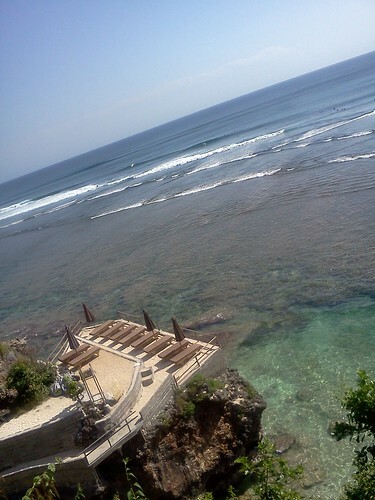 Here, I post some pictures from the official web of Taman Bhagawan, Bali, Indonesia. 나 한국 텔레비전 프로그램 런닝맨 좋아하고 유재석 큰 펜이에요. 그래서 트위터에서 런닝맨 팔로우해요. 트위터에 하하-씨, 개리-씨, 광수-씨 있어요. 안녕하세요, 이라입니다. 지난 일요일은 재 동생 생일입니다. 8월에 뮤직 콘서트 티켓 샀다, 생일 선물이다. Sophie Ellis Bextor, Public Enemy, Depapepe, Amanda & Friends, Marcell 보러 뮤직 콘서트에 갔다. 콘서트 곳은 자카르타있어서 날씨가 너무 더웠는에 정말 재미있다. 가적분들이랑 가기 때문에 재미 있는 것 같다. 콘서트를 기다리면서 가까운 서점에 갔다. 저와 제 동생이 책을 좋아하다. 우리 방에 책 많이 있고 책 많이 안 읽도. 안 읽는 책이 많이 있는데 지난 주말에 아직 책 7권 샀다. 서점에서는 한국어 교과서 Integrated Korean 봤는데 값이 더 비싸다. 제 책이 28$쯤이다. 저 서점에는 45$쯤이다. 온라인숖에서 이 교과서를 살 수 있는 것 너무 좋다! 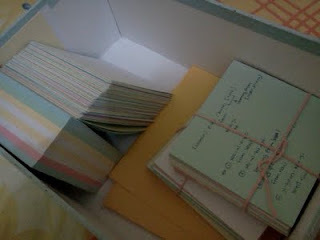 I'm craving for an excellent (paper) dictionary to help me with vocabulary. I own a mini dictionary from Collins but now I want something more. ㅎㅎ If I have a reliable internet connection, Naver and Daum online dictionary will do more than enough for me. Since moving to Bandung, I can feel my frustation build up. I've been meaning to start learning the vocabulary for Pegasus Society's GoGo class this coming December. I plan to rewrite the sample sentences from Naver/Daum in my notebook but sometimes loading a page takes such a long time that I begin to worry whether I could attend the GoGo class peacefully. I have used the service for about a year and a half and it works rather wonderfully in Bali but I think I should start looking at other internet service provider. 인도네시아 반둥은 재 사는 것입니다. 반둥에 이사하기 전에 발리에서 3 년 동안 살았습니다. 발리가 반둥보다 더 유명하겠습니다. 많이 사람들 아름다운 바닷가 보러 발래에 갑니다, 그리고 한국 드라마 '발리에서 생긴 일' 있습니다. 발리에서 사는 것을 정말 좋아하지만 우리 엄마와 우리 여동생가 반둥에서 살고 있습니다. 작년은 재 휘사가 반둥에서 사무실을 마련해서 이사 할 수 있습니다. 많이 일 때문에 그냥 지난달에 이사 할 수 있습니다. 반둥에서 사는 것도 좋습니다. 재가 사랑하는 사람들 있고 어릴 때부터 반둥에서 살았서 친구 많이 있고 서점이 더 많이 있고 맛있는 음식도 더 많이 있습니다. 오늘 쓰기는 이제까지 끝나겠습니다. 잛은 쓰기밖에 못 해서 열심히 공부해야 되겠습니다. I've decided not setting up the challenge at daily phase but instead number of time I should do something. Well, that something is to post a full 한글 blog post here and the number is 3, each for every 10 days in September. But hey, today is 11th of September! Yes, that means I should start drafting my first challenge, right? I shall post it by the end of today~! The fastest way to close this report challenge is to say that I don't know what happened back then. It just happened. But I prefer doing a bit of flashback to track when I started going sideways and eventually stop my engine. I think it began around the time of my project closing (btw I work as a software engineer). It was mentally draining so even if I didn't work overtime that much I didn't touch any Korean material at all in my leisure time. There were times when I took learning Korean as a leisure activity but that wasn't one of them. 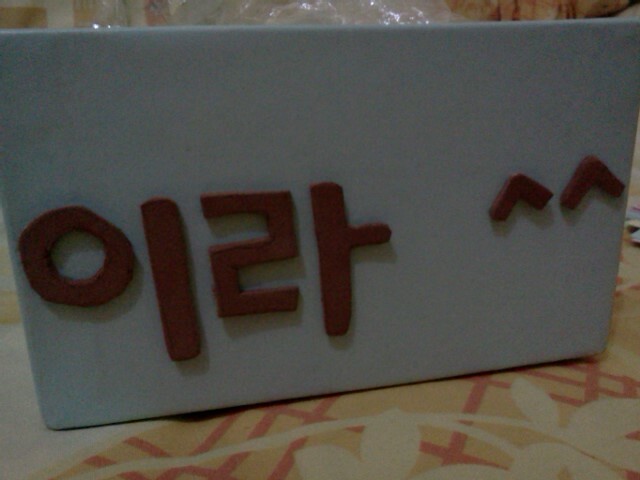 My mistake was that when the project did finish, I continue ignoring Korean in my spare time. Then I got my relocation approval (I asked to be relocated to the branch office in my hometown, Bandung - Indonesia) and found myself preparing this and that. I'm glad that I am self studying and not in the middle of a formal education class so there's no formal punishment (read: bad score) when I get weak-willed like this. I feel like I have to be careful because I think I'm beginning to run out my euphoria fuel. I still love Korean shows but clearly it's not in the same state as it when the first time I know of them. That and the fact that I get bored easily are actually enough to get me stop learning Korean or so I thought. Remembering a bit from my past, it has always been this way. I stopped learning various skills at the beginner phase with various reasons and in the end I always try to comfort myself by saying that they are not for me. Now that I'm thinking about it again, I couldn't help but feel that it's only half or less true. I think I avoid hard work. So what about this Korean journey? Honestly I don't know. Don't mistake me, I still have quite spirit to become fluent but I need to keep looking for what makes my fire burning. I've been trying, so far I already got myself the intermediate books of Integrated Korean to motivate me stepping up to the next level. Currently I'm still halfway the Beginning 2 book. I signed up for Pegasus Society skype class. I'm excited and can't wait but it's still in December. Language exchange partner? 여러분, 좋은 하루 보내세요~ 그리고 화이팅! OK, this is not TTMIK challenge post. How many days have I skipped posting? Including today, 5! *sigh* I could make excuses or explain here but I won't. I'm not in the mood, really. I feel so tired these days, mentally tired, though I couldn't figure out why. The song immediately captured my attention when watching PopsInSeoul on Arirang the other day. They displayed some information about the song when the clip was playing. The song was said to contain a hopeful message of overcoming the difficulties in life and moving forward. Definitely a song I need right now, anyone could help me with the translation, please? Please? Quick search and asking around on this band, REI, gave nothing at first. 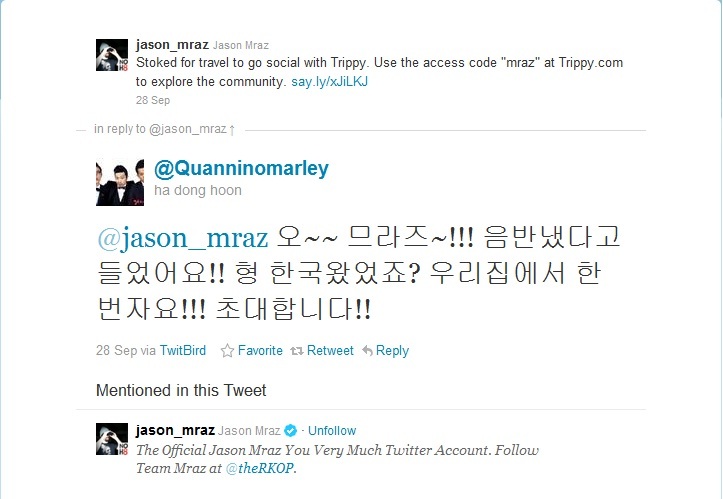 It turns out I always searched it with 김정성 instead of 김종성 because I think that was the name I saw on Arirang: REI (김정성). Anyway, once again, the right name is 김종성 and taking a glance at a piece on him here and there, he seems to be a legend. 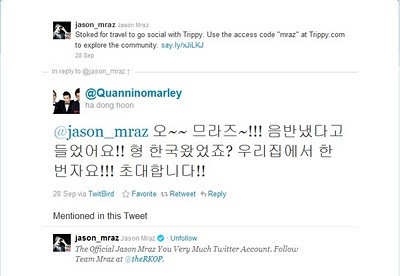 The Korean made him into the list of 50 most influential Kpop artists in one of his blog post. Another surprise for me is that 김종성 is the one who originally sings the Beautiful Restriction, the song that I like so much and have put the video of it (the international cover version) in this blog twice! Now it's going to be three times! I didn't listen to the podcast attentively today but from pieces I heard here and there, I definitely will listen to it again tomorrow. It's about the clausal connective -는데. I have read about -는데 in my textbook but I haven't quite got a grasp of it. 지금은 한국어 조금 빢에 못 해도..
밤에 집에 너무 피곤하고 영화 보는 것만 하고싶어요. 여러분, 이거 읽은 다음에, 뭐 할 거예요? I didn't post for weekend. ㅋㅋ Ok, it's worse than that. I didn't even listen to the podcast during weekend. So I listen to 3 episodes today. Level 3 Lesson 16: Let's! Between 위해 and 위해서 I think I'll use 위해서 all the time. I could see 위해서 as '..... 위해요. 그래서 ...' but using only '위해' feels like missing something. I have listened to this episode before and it immediately sticks in my head because I made the common mistake mentioned in the podcast. I said something like '한국어 조금만 할 수 있어요' while the right thing is to say like this: '한국어 조금 밖에 못 해요'. My favorites among a whole bunch of grammar construnctions would be ones that show strong distinction of how Korean expresses something, like today's Noun + 밖에 + negative conjugation. I think the uniqueness of what's natural and what's not in each language is indeed a treasure. Today's podcast (TTMIK level 3 lesson 14) still discuss noun modifying form, this time using action verb and conjugate the verb stem with -는. .. and when I googled to check this post title, I found that sentences using 잘 have the word paired with the verb without space. 잘하다, 잘하고 싶다. Hm. 내가 몰으는 것 많아서 머리가 아픈데 진짜 재미있어! After listening to the podcast, as I remembered that I have learned this adjective form in Integrated Korean Beginning 2, I re-checked the book and found on chapter 9: The noun-modifying form [Adj-(으)ㄴ + N]. Then I was lost for a couple of second on why they gave such title. I almost forgot what makes an adjective an adjective. noun1.Grammar . any member of a class of words that in many languages are distinguished in form, as partly in English byhaving comparative and superlative endings, or by functioning as modifiers of nouns, as good, wise, perfect. 오늘은 TTMIK의 레슨3 레벨12 팟캐스트 들었어요. 그래도 어제 문장를 생각 하고있어요. I learn new conjunction today, 그래도. It went rather smoothly but I can't stop thinking about the sample sentence I made yesterday. 요즘은 호주에 겨울이 와서 발리에는 너무 추워요. ..the 와서 part. I remember vaguely something how the 아/어/여서 connective must be used to connect clauses that have same subject, which is not the case in my sentence. The clausal connective provides a cause-and effect relationship between 2 events. The sequential connective can be used to link 2 sequential, tightly related events. It turns out the rule that has been disturbing my day only applied to the 아/어/여서 sequential connective. Since I intend to use the connective as the clausal connective, I can now be happy with my sentence... or not! I doubt the other parts of my sentence and I think there will always be doubt for each of my self-made sentence. I'm still a beginner, there will be mistakes to expect, a lot of them! I have to be patient towards myself and enjoy the learning process. I think it's been a long time that I truly respect the a process, building something slowly. I tend to rush when I'm learning something. I blamed it on the gifts whenever I stumbled upon difficulties, saying that it's not for me. I said it louder and louder for every new mistakes I made. Until at the end, I gave it up. How many things have I neglected this way? Japanese, Deutsch, knitting/crochetting, riding a motor bike, driving a car, and so on and so forth! I guess I didn't trust in efforts. I don't know what's different with learning Korean but it makes me feel like I can befriend mistakes. I forgive myself when I can't master the lesson instantly. I forgive myself when I have to keep getting back to one grammar point over and over again. I forgive myself when I don't remember the meaning of words. I forgive myself for making ugly sentences. The frst episode for my TTMIK 30 days challenge is level 3 - lesson 11 ㅂ irregular. This is actually my second encounter with ㅂ irregular. I have first read it on Integrated Korean beginning 1 and I'm glad I run into it again. 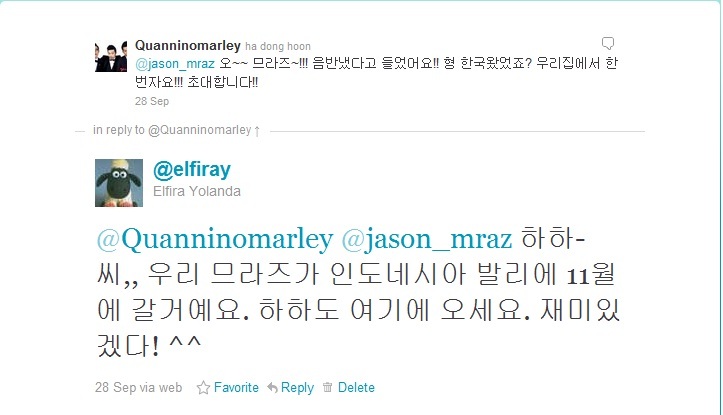 I think this resonates one of Shana's tips for studying Korean grammar structure: don't rely on one grammar book/guide! I thought for every suffix, the ㅂ will always be replaced. It turned out only if the suffix starts with vowel. Matt Cutts, the head of Google's webspam team, inspires me to do this. The rule is simple, choose our own challenge and commit to it for 30 days (well, it depends on the number of days of each month). Think about something that you always want to add to your life, and try it.. for the next 30 days. a TTMIK podcast a day on August 2011! I've been listening to TTMIK since the beginning of my learning journey but never on regular schedule. Since my textbook came (the KLEAR series), I practically give more attention to the book. I don't see this as a bad thing but I thought it would do me good if I could make a habit of learning one episode each day. …when you learn another tongue, you learn the way another people see the world, the universe. Now, as a start, I want to talk about StackExchange. StackExchange is a collection of Q & A sites. It has wide range of topics, from arts, business, culture, life, professional, recreation, science, and technology. People can propose what specific topic they want to see. Once proposed, others can choose to support and participate them. When certain criteria fulfilled, the proposed topic Q & A established and the game begins. The search system of StackExchange is great. I think several factors come in to play, including the tags. The tags that we can use for questions are not freely created. There are set of tags previously defined and with enough reputation (will talk about reputation soon), people are granted access to create tags. People can vote (both vote up and down) the question, the answer, and even the comment to question and answer. The vote will show our agreement/disagreement. The vote down can be used when the question is off-topic/irrelevant. People get reputation by contributing to the site, when they get their answer/question voted or some time when the first time they do something in the site, and other actions. The reputation will be the key to open access to do cool things within the site. I think it's a great idea to help spreading the responsibility of maintaining the website. This way, the site doesn't rely heavily to a group of administrator to monitor the growth of the site. The community monitor each other. The StackExchange for Korean is still in beginning phase, meaning it needs to meet certain criteria before getting established (the criteria is on the right top box, e.g. it needs to have 49 followers at least -- currently 11). Community helps me a lot in learning Korean. They are one of biggest motivator for me to keep going (I know, I'm still a beginner, but still.. :D). So, when I thought this StackExchange is a gem, I want to share it. So, what do you guys think? Please join the site to make the site public! Please! I name my new LG Optimus One: Optimus Prime 9. 9 because it's my birthdate. Yea, I'm not that creative. I bought the phone because the old one went dead! 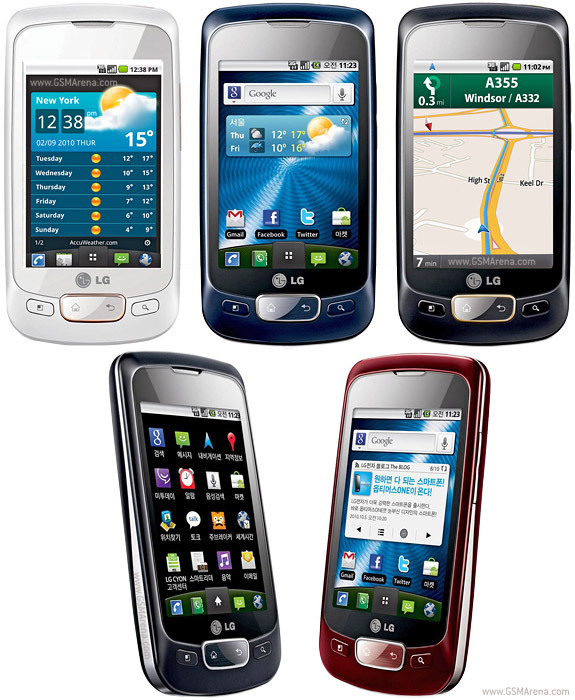 :( And this is the picture of LG Optimus One (not my own because I get my Canon D10 repaired at the moment, another :( ). I admit that it's not the best way to learn new vocabulary. It doesn't have sample sentences to show the word usage. It lacks of grammatical explanation, all forms of verb with various conjugation mean the same thing as the base form. But I think it's still a fun app to play with. It gives me a glimpse of Korean vocabulary. Another good thing is it shows the right answer. It's a pretty decent app to practice Korean numbers. The display is simple in gray-black-white combination. It has the numbers romanized and written in 한글 as well. The app offers basic lesson for Native and Sino Korean numbers and some flash card practice for both of them. We can listen to the pronunciation, too. It's a pretty complete application from Naver. I don't use them all, only the 영어사전 which menu I found after clicking here and there as I didn't know most menu meant. LOL. EZNet provides so many cute children story ebooks. Well, they are audio books as we can listen the story being told. I downloaded the 3 little pigs and I can't wait to master Korean so I can understand them! LOL. Besides the colorful main stories, it has feature to learn vocabulary used in the story. It's intended for the children to learn English words but of course it works the other way around to thus it's useful for me. I really love this app! Gonna download the other stories! There are a lot of Korean apps found in the Android market but I don't think it's useful for me right now. 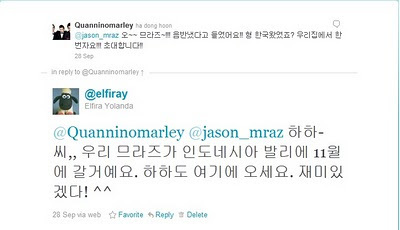 One more reason for me to study Korean diligently! I tried them because a friend had a successful experience bought the 7 books of Harry Potter. I've sent them an email a month ago and they said it's still in normal waiting time and I sent them an email again few days ago. Hope they can do something about it. 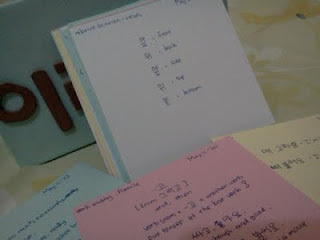 In the mean time, I'm lucky to have other bunch of resources, from TTMIK (I'm at level 2, lesson 27! ), CoreanBigSis, and the internet! I love Naver but I'd also like to have a dictionary which I could actually turn its pages. I keep searching and searching and..
Oh! Is that what I think it is? Oh! But what is that yellowish creature? So small.. Does it come with the dictionary? Password? What pass.. Ha! I think I know! it said while removing its helmet. So I told, I mean, I whispered it to him. and start opening the pages of the dictionary. Now it's calling me to see for myself! Excited! and start asking it things. "What's your name? ", I said. "Hello, Regoshin, how are you today?" Regoshin points his sword to a word in the dictionary. "먹고 싶어요. Regoshin wants to eat." Ah, me too, Regoshin, me too..